The Nike TechKnit Ultra Top is strategically designed; from its angled seams that work with your movements, to engineered fabric that's knitted with a lightweight, 3D structure. STRATEGIC DESIGN FOR ALL-OUT COMFORT. The Nike TechKnit Ultra Top is strategically designed; from its angled seams that work with your movements, to engineered fabric that&apos;s knitted with a lightweight, 3D structure. 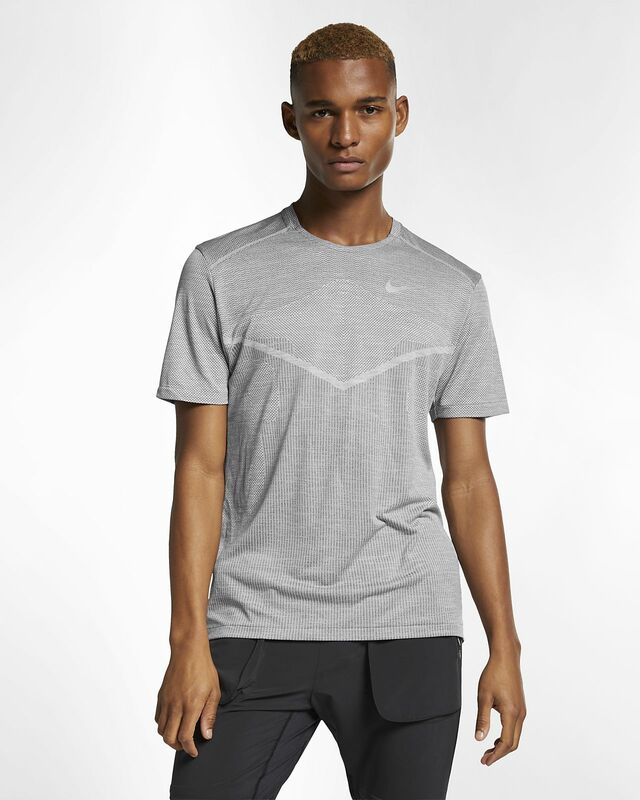 Engineered for strategic breathability, knit fabric has a lightweight, 3D structure. Sweat-wicking technology helps you stay dry, comfortable and focused. Vents on the sides are angled to optimise airflow. Shoulder seams are moved forward for an ideal fit. Side seams angle towards the back so they don&apos;t get in the way as you pump your arms. Have your say. Be the first to review the Nike TechKnit Ultra.